Zurich (hm) For more than 20 years, OEKO-TEX® has been a reliable partner for textile companies committed to human-ecologically safe products and the implementation of more sustainable manufacturing. The newest addition to the product portfolio is Made in Green by OEKO-TEX® – a traceable product label which allows for communication throughout the supply chain all the way to the end-user. The label ensures that made in Green textiles are not only tested for harmful substances (certified according to OEKO-TEX® Standard 100) but also sustainably produced in accordance with OEKO-TEX® guidelines. The label can be awarded to any kind of textile product anywhere in the world at any stage of the textile supply chain. With the Made in Green label, brands, manufacturers and retailers have the chance to promote their responsible practices to their customers in a clear way on point-of-sale material. The added benefit of Made in Green is that each labelled product can be easily traced, thus offering new levels of transparency throughout the supply chain, all the way to the consumer. Every Made in Green label has a product ID and/or a QR code which shows where the product was manufactured. Depending on the data release granted by the supply chain, the labelling system can provide information on the production sites in which an article was manufactured, which production stage the individual factories belong to and in which country the manufacturing took place. As proof that products with the Made in Green label are harmless to health, they must successfully pass a laboratory test based on the OEKO-TEX® Standard 100. Proof that the conditions in the participating production facilities are environmentally friendly and socially responsible is provided through an extensive assessment and a subsequent company audit in line with certification according to STeP by OEKO-TEX®. Any single component that equals or exceeds 5% of the total weight of the textile product must be supplied by STeP by OEKO-TEX® certified production facilities. At least 85% of the weight of a single piece of textile must be supplied by STeP by OEKO-TEX® certified production facilities. The general rule for the above mentioned criteria is that all the making up and wet / chemical processing facilities have to be STeP by OEKO-TEX® certified. The product must be OEKO-TEX® Standard 100 certified. For intermediate products sold within the supply chain, the label issuer must be STeP by OEKO-TEX® certified and fulfil all of the above mentioned criteria. During the Made in Green by OEKO-TEX® launch phase, all critical making up and wet/chemical processing facilities must comply with the requirements stated above. Ultimately, in order to receive the Made in Green label, all facilities in the remaining processing stages (spinning, weaving and knitting mills, accessories, fibre production and the production of raw materials) will meet the requirements for STeP certification. 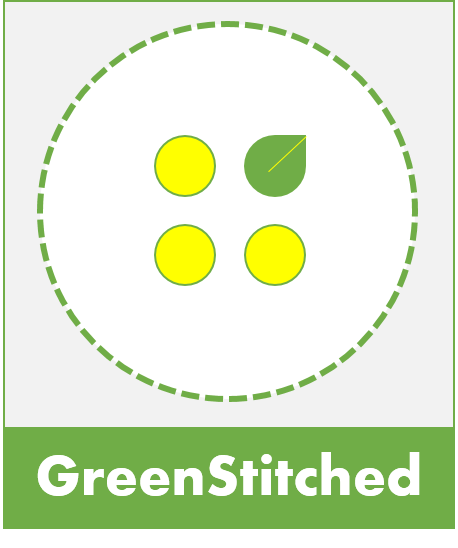 To support the launch of Made in Green, OEKO-TEX® has introduced a new consumer website which can be found at http://www.madeingreen.com; the site enables interested parties to discover more information about the label. The site will also be available on mobile devices such as tablets and smartphones. The site features the ability to track labelled textiles using a product ID and/or QR code. Visitors without an ID or QR code can use the demonstration function “Test without product ID”. This feature shows visitors the type of information available relating to the production facilities involved in the manufacturing of a particular article. A short video, details on the OEKO-TEX® guidelines for awarding the Made in Green label, a generic description of the individual production stages and information on the OEKO-TEX® Association, including international contact information, completes the online features. The new Made in Green website is currently available in English with incremental language versions planned for the near future. More detailed information on the new Made in Green label is available at www.oeko-tex.com/mig, on the consumer website www.madeingreen.com and also from the OEKO-TEX® Secretariat. Contact: info@oeko-tex.com. ** This post first appeared here. This entry was posted in Chemicals and tagged Chemicals, Made In green, Oeko-tex, STeP. The new requirements for the certification of environmentally friendly and socially responsible production facilities in accordance with STeP by Oeko-Tex are applicable as of 1 April. Sustainable Textile Production (STeP) is the new Oeko-Tex certification system for brands, retail companies and manufacturers from the textile chain. Certification is possible for production facilities of all processing stages. From July 2013 on, STeP replaced the previous certification of production sites according to Oeko-Tex Standard 1000. “The interest in STeP goes well beyond the penetration we saw in what was known as the Oeko-Tex Standard 1000, which was the precursor to STeP. We expect the acceptance of STeP to rise, particularly as we include many suggestions from our customers in the new edition of the STeP standard, which will be published on 1 April 2015,” said David Pircher, a Business Development Manager, Oeko-Tex. With immediate effect, chapter 4.5.13 of the STeP standard requires all employees to comply with ethically correct behaviour. Therefore, companies must provide their employees with a written Code of Conduct, which defines the ethical principles of the company and lists corresponding specific directives. Oeko-Tex will also establish a neutral point of contact for employee complaints from STeP certified production sites. With regard to the purchase of feathers and down used in bedding or clothing manufacturing, STeP certified companies are required to obtain their raw materials from suppliers who can prove they do not adopt practices, such as live plucking and/or forced feeding. Oeko-Tex recommends that companies obtain proof from the suppliers by means of independent evidence, such as the Responsible Down Standard (RDS). The STeP criteria for the company area of Social Responsibility have also been modified. To exclude the worst forms of child labour, STeP certified companies must, in the future, also be able to provide evidence of compliance with ILO standard C182. If the employees of STeP certified companies receive additional donations from their employers, it must be clearly documented. Medical investigations required by law, for example, HIV tests, are not categorised by the STeP standard as discriminatory, but must be documented and monitored. All forms of slavery and forced labour, such as Sumangali, which is practised in India, are categorically excluded. In addition, workers and salaried employees may use the toilets, drink water, and take a break at any time within the extent prescribed by law without fearing any disciplinary action. Sandblasting for the treatment of jeans and other articles. Excluded from the ban are closed systems, provided that the dust emissions at the workplace do not exceed the limit value specified in Appendix G07 of the STeP standard. The use of thickening agents based on aromatic hydrocarbons for textile printing. The guidelines for production waste have been modified in the new STeP standard so that appropriate storage areas must be provided immediately to ensure that, wherever possible, pollution of the immediate environment and groundwater is excluded. This also specifies that the storage of production waste must be protected from external weather conditions and from fire. The objective for production companies is to ensure that the storage of production waste has no effect whatsoever on the environment. In the area of Chemicals Management, the list of banned and regulated substances for the manufacture of textiles (MRSL, Manufacturing Restricted Substances List) has been updated. The detailed changes are shown in Appendix D3 of the new STeP standard. Aside from the points already mentioned, the list of exclusionary criteria was also expanded to include other aspects. This includes, for example, the specifications that each employee must receive a written employment contract, that the company ensures specific workplace conditions for young employees and that the payment of deposits for the recruitment of new employees is not permitted. The STeP standard can now also be applied to production companies for accessory parts for textile manufacture with immediate effect. ** This post and the images are sourced through here. This entry was posted in Chemicals, Manufacturing and tagged Chemicals, Oeko-tex, STeP.